The way we live today – on our smartphones and tablets, with on-demand streaming and instant communication – means that we are able to shape our world to fit us, and our preferences, more than ever before. This shift in our daily lives also means that how people communicate with companies, and companies with people, is changing radically. 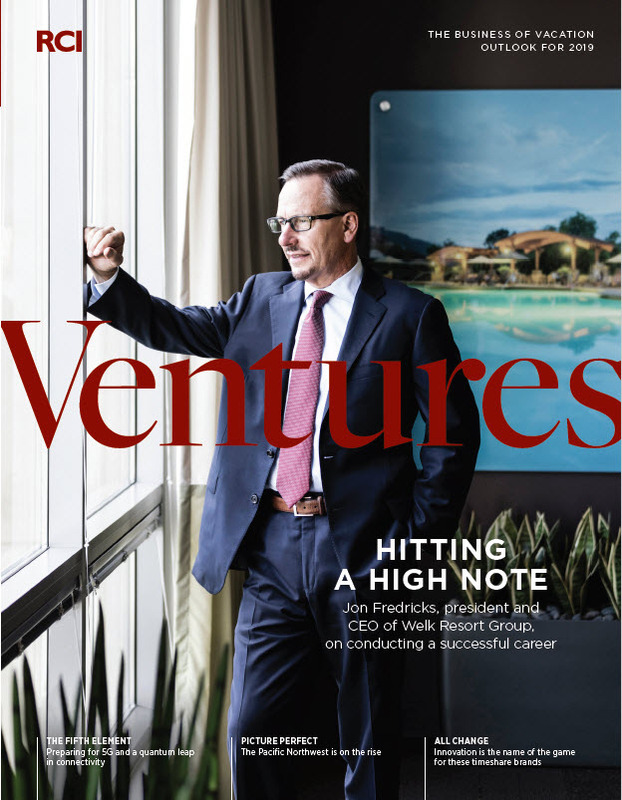 In this issue of RCI Ventures® magazine, we delve into what this evolution looks like and offer ways to embrace these changes. Our cover feature focuses on the power of the online marketplace and how the internet provides an international 24/7 shop window to showcase your product. We also have a feature on the benefits to be realised, as a resort developer, by working with the combined business units of RCI and the Wyndham Worldwide Hospitality Group. The Q1/Q2 issue also explores the Indian timeshare industry as it turns 30, and two of the main players share future development plans. Our cover feature celebrates timeshare and why we love it – a product ahead of its time when it first emerged 40 years ago, it is now ready to truly come into its own. We also have a special focus on Russia and the CIS countries, where a burgeoning hotel market is laying down a positive marker for timeshare and mixed-use projects. The Q3/Q4 issue also features case studies on brand marketing and customer loyalty – with tips from three leading resort developers – new developments in Malta, a profile of Carlos Barrau, one of the industry’s leading lights, and much more. 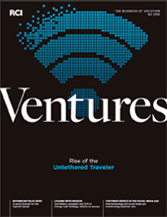 The Q1/Q2 2015 issue of RCI Ventures magazine features everything you need to know for the year ahead. For our main feature, Greece Up For Growth, we take a look at the range of tourism initiatives combined with low property prices that have set Greece up as a prime market for development. In Getting Up Close & Personal, we highlight how the key to success is being able to combine the human interaction of service with the wonders of technology to enhance the guest’s stay experience. The latest issue also features a range of tools including a guide to the different shared-ownership models for those starting out in the industry, plus key trends and statistics to support business decision-making.